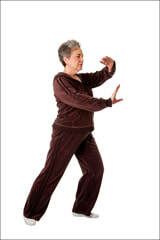 Chi Me is a tai chi influenced exercise programme designed to improve mobility and balance. Participants will experience a sense of calm and well being. Slow gentle graceful movements which nurture the body and even internal organs get a work and most important it encourages natural breathing exercise .